Most companies have gotten the message by now: there is a huge inequality in the workforce when it comes to hiring women engineers. On the one hand, there are fewer women than men graduating with degrees in engineering. For example, according to the National Society of Professional Engineers in 2004 there were about 192k women engineers in the US, compared to 1.5M men (hopefully these numbers are steadily improving). This disparity is especially obvious in tech, where between 9 and 16% of engineering employees are women. On the other hand, companies often do not understand that female and male engineers prioritize different things when considering a new job. Female engineers in tech are more focused on work/life balance, flexible work arrangements, building good relationships with their colleagues, job security and employee development. 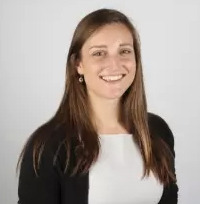 Male engineers in tech focus more on compensation/benefits, being challenged by their work, being proud of where they work, making an impact and working for a company with a long-term strategic vision. If this is what female engineers in tech want in a job - how are you doing at offering these key attributes? Consider what’s important to them as you try to recruit the top performers. Use this information to craft a personalized message and remember that although good work/life balance is most important, flexible work arrangements, good colleague relationships, and job security are also strong motivators. 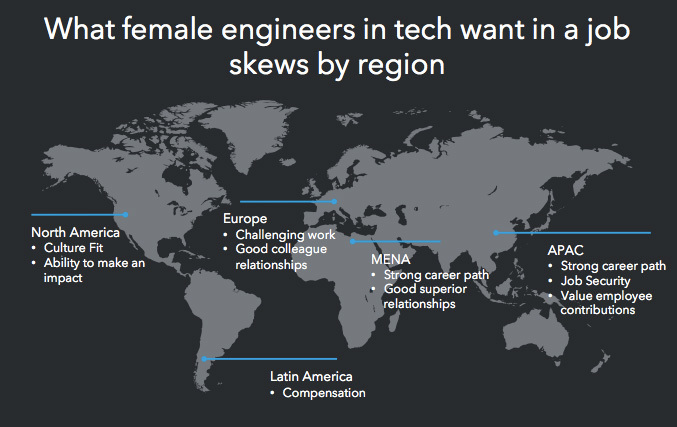 Methodology: LinkedIn surveyed 338K+ members around the world in March/April 2014 - among which 941 were engineers in the technology - hardware and software industry who self-identified as female. Members were selected at random and are representative of the LinkedIn sample.